Posted bymusicjunkiestudios	 December 30, 2016 January 8, 2019 Leave a comment on Studio Goals for 2017. 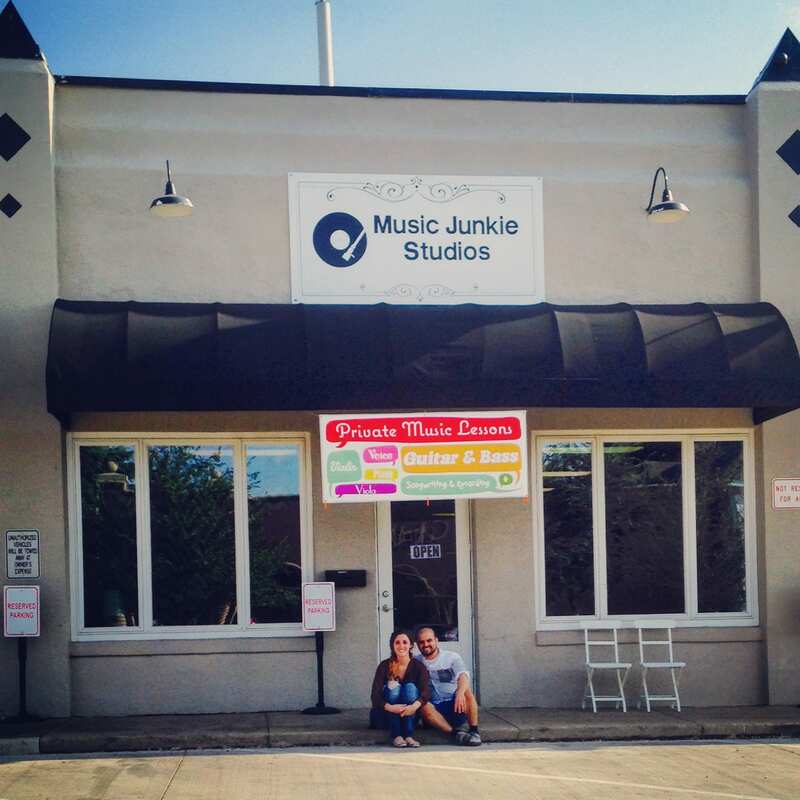 Music Junkie Studios has been blessed with great support from the surrounding communities over the last year and a half. We’ve experienced a kind of customer loyalty that I imagine most small businesses covet. That being said, we’d like to continue serving this community for many years to come. In order to create that kind of security, we plan on growing and perfecting our brand continuously. Below, we share some of our goals for 2017. We strongly believe that everyone should be able to enjoy the benefits of music education for a multitude of reasons (that I don’t have the time or blog space to list right now). We also recognize that many don’t have the financial or physical resources needed to receive that exposure on a regular basis, if at all. We’d love the chance to help change that for a few folks this coming year. Our staff is out of this world, y’all. We are blessed to boast such qualified instructors on the Music Junkie team and we believe that if you treat folks the way you should, they’ll stick around and have your back. You might have noticed that we have a specific kind of culture at our studio. We are committed to doing whatever it takes to continue the positive, uplifting, friendly, support our clients expect and deserve. This starts with hiring the best musician-teacher-human being combination we can find. We have learned a lot this year about what kinds of advertising work in this sweet collection of neighborhoods and which don’t. We’ll be more focused on community networking- digging in and getting more involved in local events, meetings, and organizations. We care. We want to be involved and aware. Our hope is that the community we invest in will invest in us and we’ll all see growth and support. We offer music services for all kinds of events: live music for weddings, parties, birthdays, graduations, concerts, DJ services, sound tech needs, recording, etc. We’re hoping to expand this part of our business and be the “go to” for all your live music needs! We’d like to create a safe time and space for our students to enjoy jamming and collaborating with other musicians. We find that so much of our own learning has come from bouncing ideas off of other musicians and seeing what comes of it. Musicians do, after all, need to learn to play nice with others. We don’t have to look too far to find local talent. They WORK HERE for goodness sake. We want to host several little pop-up shows in our sweet little space in 2017. Soo much music! This is going to be fun. 2016 can kick rocks. We’re on to bigger and better things! Let’s go, 2017!